When you think of State College, there’s a good chance that one thing comes to mind: Penn State football. 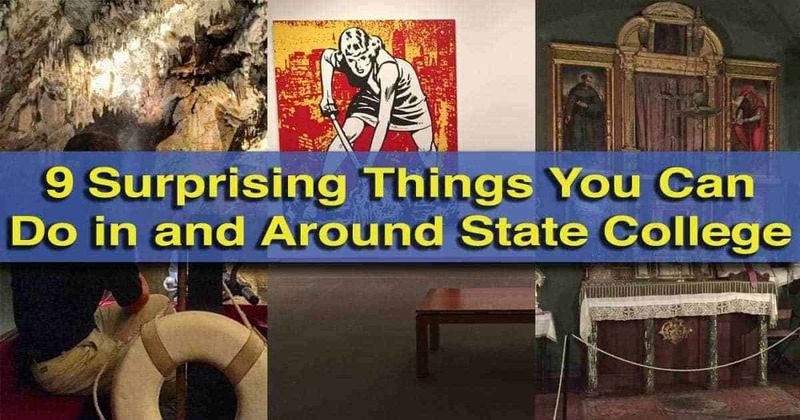 And while the team is a big draw for the region, there are plenty of other great things to do in State College and the rest of Centre County. Penn’s Cave is the only all-water cave east of the Mississippi River. 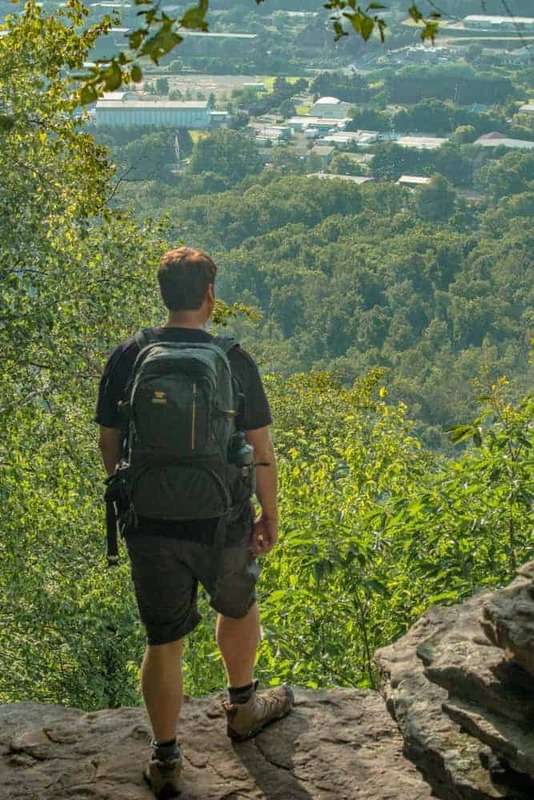 There are plenty of caverns in Pennsylvania, but there’s only one that you can tour by boat. Located in Centre Hall, Penn’s Cave offers fantastic tours of this beautiful, water-filled cavern. Boat tours travel through the cave and stop at a variety of interesting rock formations. Along the way, the guide tells about the cave’s history and throws in a few very corny jokes. Thanks for some engineering work done in the early 20th century, tours actually go outside the cave at its end and into the man-made Lake Nittanee, before returning back into the cave on the way back to the main entrance. 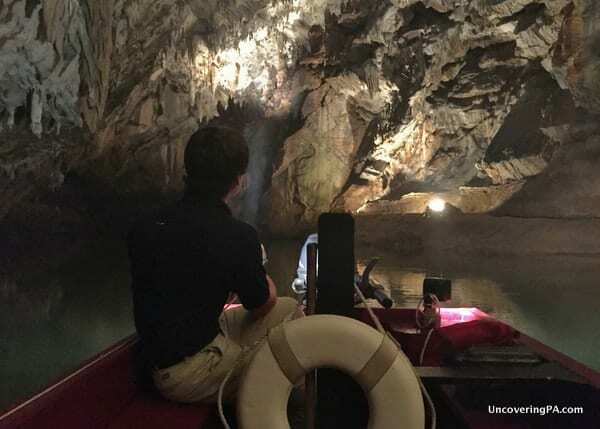 The experience of traveling through a cave in a boat is one that you can’t get anywhere else east of the Mississippi River, so it’s well-worth checking out! Read more about visiting Penn’s Cave here. Robin Hood Brewing Company is one of several breweries bringing great craft beer to the State College area. As a college town, you might think that State College is full of cheap beer. However, there are some really great craft beers that are made right in Centre County. During my visit, I had a chance to taste a few beers from Robin Hood Brewing Company in Bellefonte. Robin Hood Brewing has only been around since early 2014, but they’ve come a long way and serve up some very flavorful brews. Especially popular are their bright, but not super hoppy IPAs and their stouts. 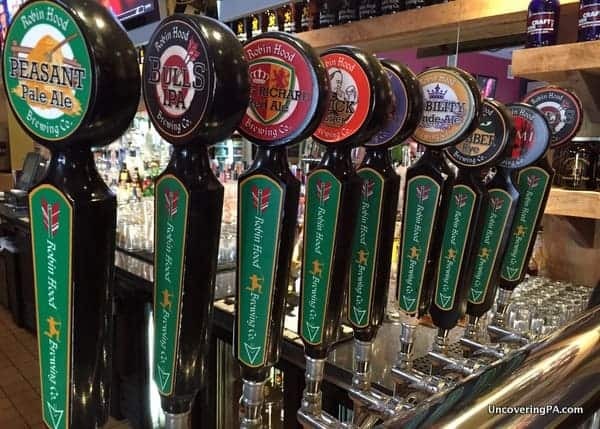 Robin Hood Brewing Company brews out of the Home D Pizzeria in Bellefonte, but also sells their beer out of the Home D location in State College. While you can’t tour the brewery, if you’re lucky, you might see the brewers at work behind the large glass windows in the bar. If you’re in the mood for craft beer, Otto’s Brewery and Happy Valley Brewing Company also put out some great beers. The interior of the Columbus Chapel features Columbus’ personal sea chest among other amazing mementos. Of all the surprising things on this list, this one might be the most shocking. Located in Boalsburg, the Columbus Chapel and Boal Mansion is home to some of the most priceless artifacts in all of Pennsylvania. 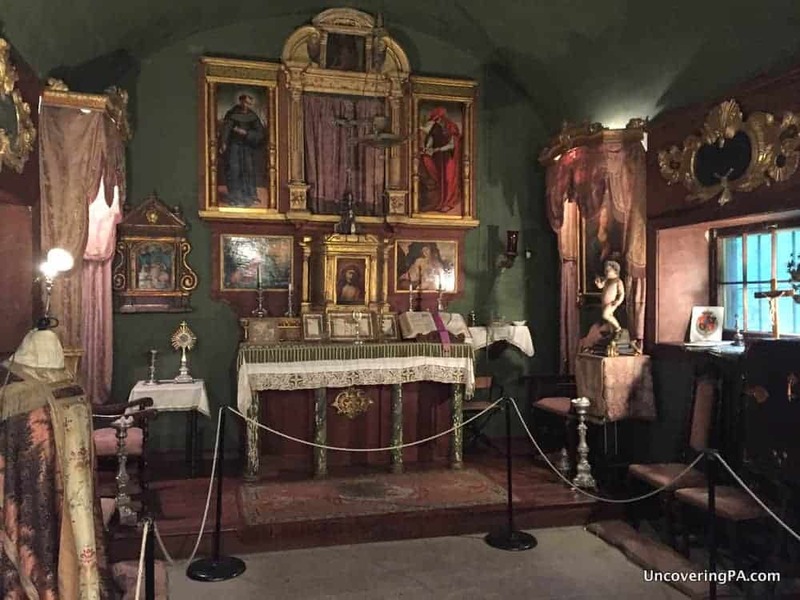 Inside the two main buildings here are Christopher Columbus’ Sea Chest, Crusade relics that are said to be from Jesus’ cross, a lock of Napoleon’s hair, and much, much more. The truth of this place is quite stranger than fiction. Click here to read to whole story and find out what else is hiding out at this amazing place. Hiking Mount Nittany is must when visiting the State College Area. It’s been said that if you haven’t hiked Mount Nittany that you haven’t been to State College. Mount Nittany is a mountain just outside of downtown and offers several miles of hiking trails for those looking to explore the outdoors. After a steep climb to the top, the trails meander along the ridgeline and offer spectacular views of Beaver Stadium, the Penn State campus, and surrounding countryside. Click the link to find out more about hiking Mount Nittany. An 1860’s post office sits inside the American Philatelic Society in Bellefonte. I will admit, not only did I not know the American Philatelic Society was located near state college, but I didn’t even know what a Philatelic was. For those of you as uninformed as I, the American Philatelic Society is basically the stamp collecting society. At their headquarters in Bellefonte, the American Philatelic Society has the largest collection of books about stamps. 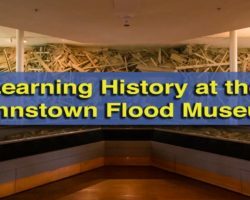 They also have exhibits related to the mail system and stamp collecting, including a complete post office that was built in the mid-19th century. 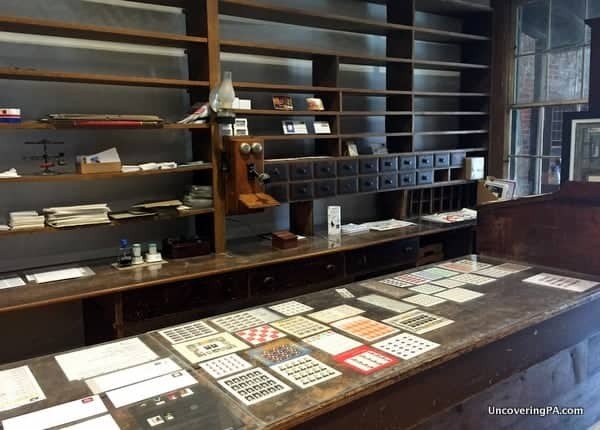 They also have some of the world’s rarest and most expensive stamps, and if you ask nicely, they might let you take a peek. World-class art can be found at the Palmer Museum of Art on the Penn State campus. On the campus of Penn State’s campus is the Palmer Museum of Art. 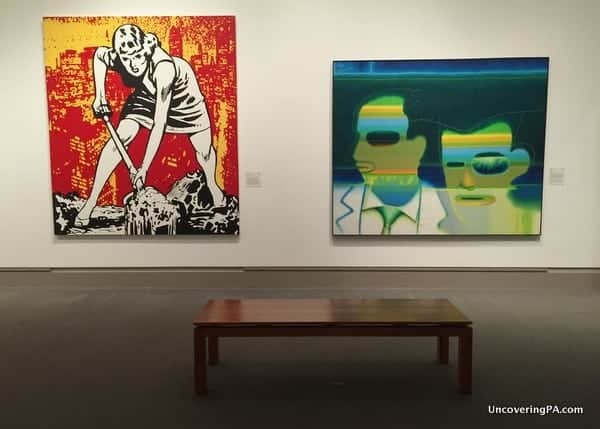 This free-admission museum offers a small, but fantastic collection of art ranging from Asian ceramics to modern American paintings and is one of the top things to do in State College. The museum doesn’t feel at all like a typical college museum, and instead feels more like something you’d expect in a large city. Of course, the high quality of the pieces on display help maintain this feeling. 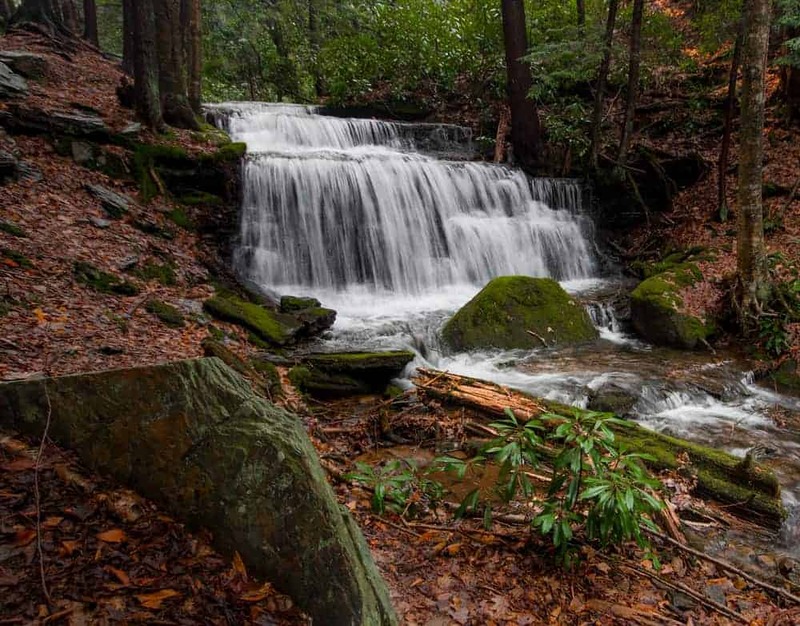 Located in northern Centre County’s Sproul State Forest are Yost Run Falls and Kyler Fork Falls. These waterfalls are along the Chuck Keiper Trail roughly a mile and a half from the road. 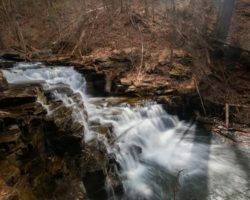 While Yost Run Falls is the bigger of the two, Kyler Fork Falls, which is located less than 100 yards away, is also well-worth taking the time to see. 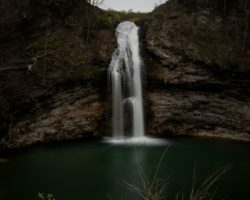 Find out more about these great waterfalls in our article about hiking to see them. 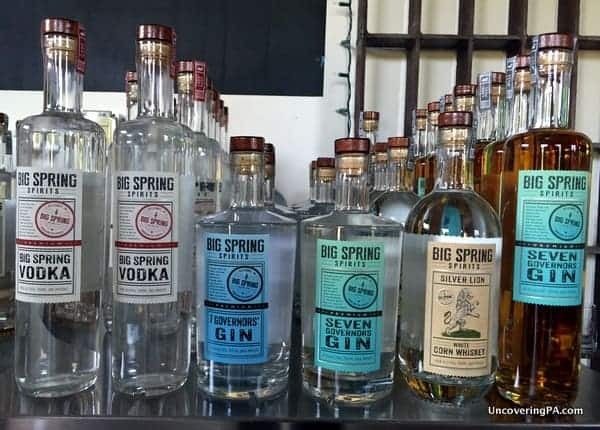 Taste delicious coconut rum and other locally-produced spirits at Big Spring Spirits in Bellefonte. Distilleries are popping up all over Pennsylvania, but until I visited Big Spring Spirits in Bellefonte, I had yet to come across one producing coconut rum. That’s right, Big Spring produces, among other things, a coconut rum that is quite delicious. 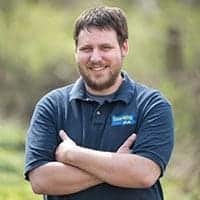 Big Spring Spirits is also the first LEED Certified distillery in the country, meaning that they make their spirits with a lot of attention put towards being friendly to the environment and using local products whenever possible. Philip Jensen, the distiller at Big Spring, has clearly put a lot of attention into both the building and the products that he produces. Truthfully, I’m not a huge fan of spirits, but the ones at Big Spring Spirits are some of the best I’ve tried in Pennsylvania. The Arboretum at Penn State is a beautiful group of gardens on the university campus. Nestled amongst the many buildings on campus, this manicured garden not only offers educational opportunities, but is a great place to stroll. 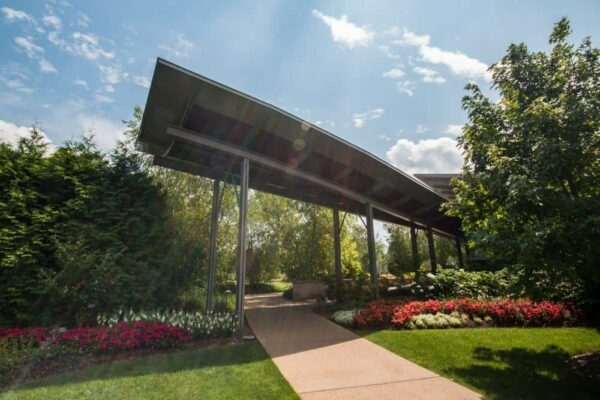 Highlights of this free arboretum include a fantastic Children’s Garden, the Tropical Grove, and the Overlook Pavilion. Note: My visit to Centre County was hosted by the Central Pennsylvania Convention and Visitor Bureau. However, the opinions expressed are my own. 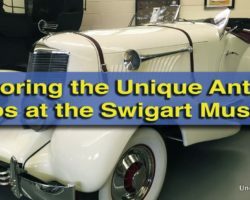 Looking for more things to do in the area? 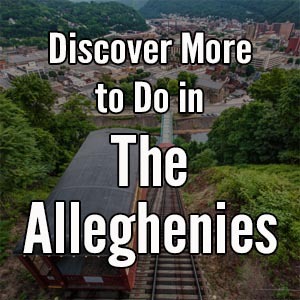 Check out our favorite things to do in Blair County, PA.
You forgot that you can buy fresh hand made pasta at Fasta &Ravioli and fulfill all your gluten free needs at Good Seed Baking Company. Also, hear live classical music with 2 local orchestras, 3-5 University orchestras, and the Penn’s Woods Summer Festival orchestra…lots of live theatre too! I really enjoy your web site. My husband and I spent the past 2 years going to all the covered bridges in PA. It was a wonderful experience and took us to some of the most beautiful parts of PA. We met some really fascinating people as well. We are not up to hiking much (like looking for waterfalls, etc.) but are we are ready to go back to some of the places we didn’t see when we were so close to them. Majority of my family lives in Northern Pennsylvania, so love your reminders of places we explored. In this case, Penn’s Caves with our visit on Columbus Day. My family on my Dad’s side came from Europe and settled in Boalsburg. My maiden name: Boals. We visited once when my brother came from Idaho for a visit. There are little shops there plus the Boal Mansion that incloudes the Christopher Coumbus Chapel.